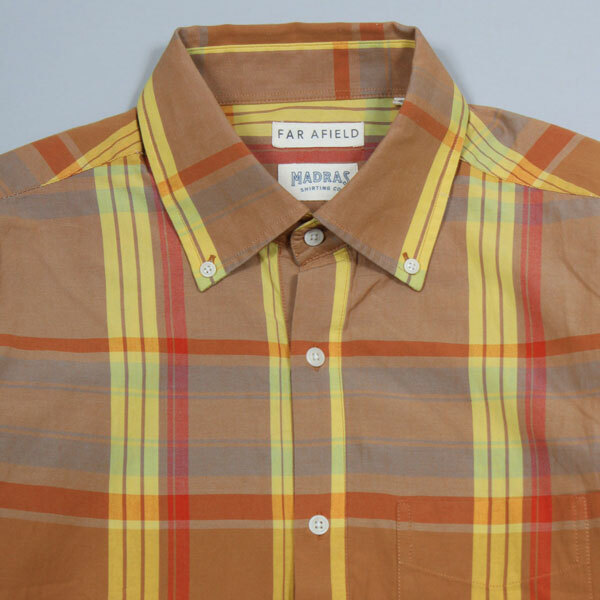 Something in the ivy league line, courtesy of the Far Afield x Madras Shirting Co popover shirts. 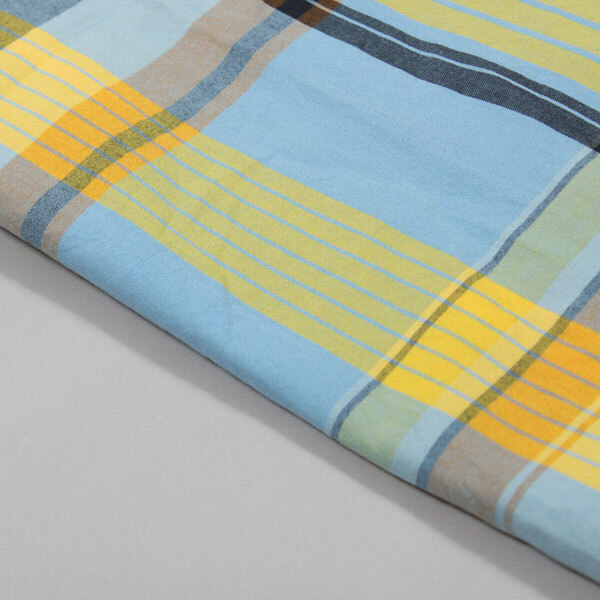 Far Afield was previously known as TukTuk and has been on the scene producing button-downs for quite some time. But this is a slight departure for the label. 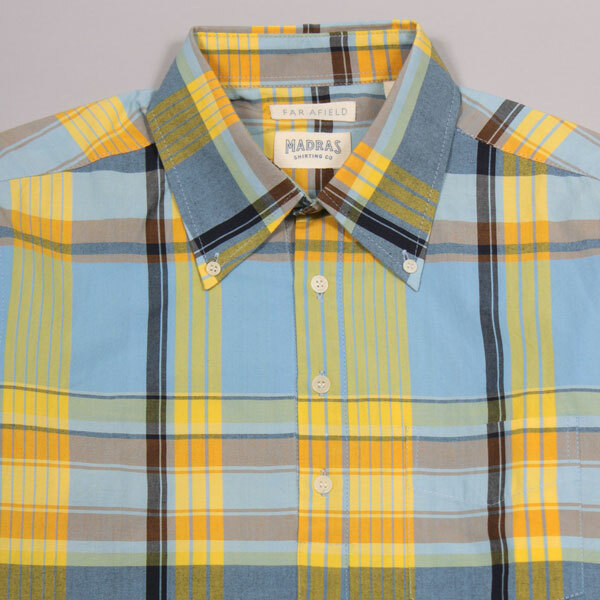 This time it has teamed up with its offshoot, the Madras Shirting Co for what’s described as an ‘ivy shirt’ in two colours – the blue and camel variations pictured here. 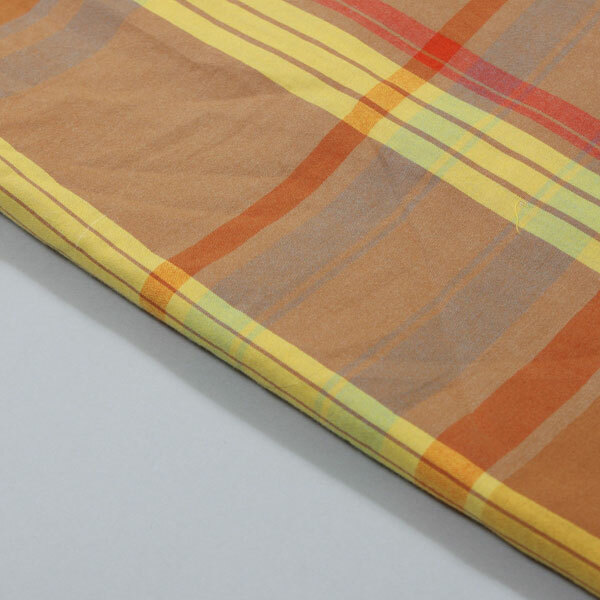 As ever, it’s the collar and the cloth that will be key to whether you love these or not. Personally I like both cloths, which are ideal for the spring/summer weather. The collar looks about right too for me – but that is always down to personal taste. 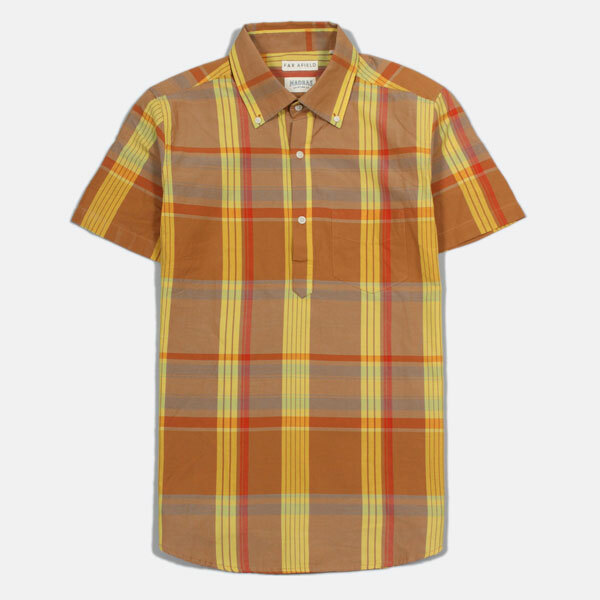 So a short-sleeved popover shirt in a madras style check fabric with a 2.75-inch collar, half placket, and mother of pearl buttons. The shirt is 100 per cent cotton, of course. 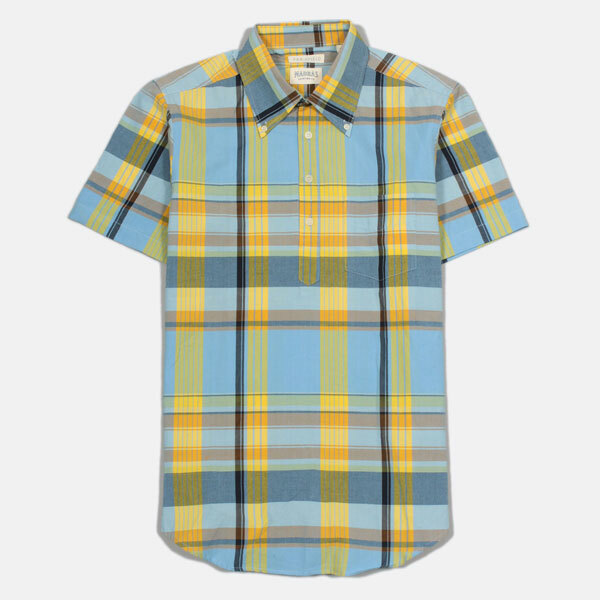 The shirt comes in what is described as a ‘regular fit’ and is ‘true to size’. Check the size guide for detailed measurements on the retailer’s site. £65 gets you one.